Clear the air this fall and winter – naturally – using home essentials! I live for the autumn season: crunchy leaves, hot tea, over-sized sweaters, and rainy days are bliss to me. But with that comes a drop in temperature and air quality, often leaving both my skin and the air in our home super dry. That’s where home essentials come to the rescue! With the coming months comes the dreaded cold and flu season. Ick! I’m seriously already dreading the potential of sleepless nights and sniffles. In 2015 I got strep throat twice and I’m determined to avoid it this year using natural and healthy alternatives. There are three ahhh-mazing home essentials designed to provide awesome support to the body, and you can maximize their benefits by diffusing them in your home. Breathe Respiratory Blend – Ermagherd I can’t say enough about this oil! It was the essential oil blend that first introduced me to doTERRA (the brand I personally use and recommend) and was a life-saver earlier this year! Both hubby and I were disgustingly sick (think snotty and phlegmy) and diffusing this helped clear our airways and let us sleep at night. On Guard Protective Blend – The name says it all! This natural alternative supports healthy immune and respiratory function, protects against environmental threats you pick up at school or the office (or on public transit) and supports the body’s natural antioxidant defenses. *le sigh* I’m in love. Lavender, Lemon, and Peppermint – You can call it the “Holy Trinity” of oils. It’s the perfect trifecta for those who suffer from, shall we say, seasonal challenges. Diffuse these three together or apply them onto your skin with some fractionated coconut oil and you’re rockin’ and rollin’. I know, I know… essential oils can be intimidating. But remember what I said last week? Forget about being an essential oil skeptic. That’s what I’m here for. I’ll hold your hand through it all, friends. 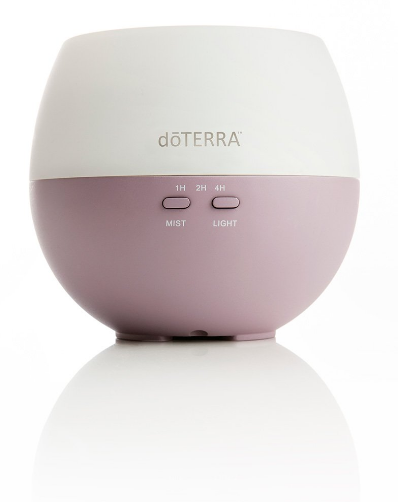 Using a diffuser is pretty key to reaping the benefits of these essential oils, and the oil brand I love the most [insert googly heart eyes here!] makes it super easy. 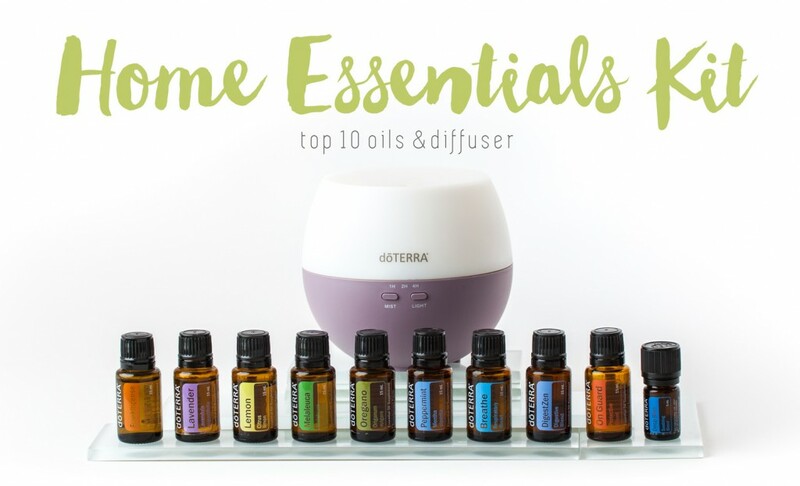 Their Home Essentials Kit includes all those delicious oils I mentioned above, plus five more oils, plus a diffuser. “Ohhh… Ahhh…” Pretty, isn’t it? The Home Essentials Kit is a smokin’ deal because it includes 9 (I said NINE!) bottles of 100% pure, amazing, awesome, dancing like Elaine Benes essential oils in a 15ml size (plus one 5ml bottle of Deep Blue essential oil blend). In case you’re wondering, yeah, that’s bigger than the bottles you get at retailers. I would love to tell you more about the home essentials kit, so send me an email if you want to get your hands on one. I meant what I said – I’m here for you, friends! If you’ve got a health concern or question or just want to know more about how you can support your health in a more natural way, I’d love to chat with you! I’m seriously passionate about this stuff. For a one-on-one wellness consultation with me, you can reach me through my contact form and I’ll get in touch with you within 24 hours – promise!